Last Sunday I went to have lunch with two friends, one Chinese and one Taiwanese. They were quite indecisive about what they wanted to eat so I searched for some new restaurants we had not tried. 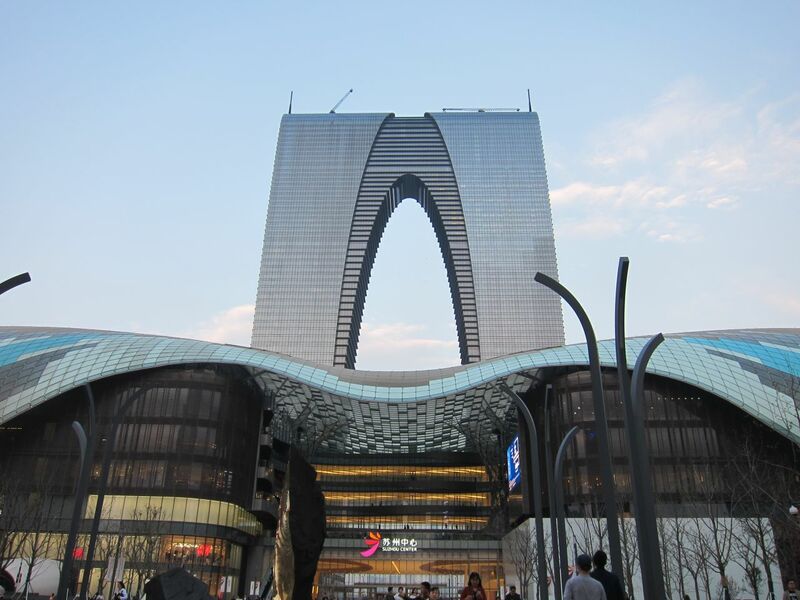 One of the options was a Spanish restaurant in the new and fancy Suzhou Center mall, and the Taiwanese girl immediately said she wanted to try it because she attended our wedding in Spain last year and enjoyed Spanish food. So we went to that Spanish restaurant. 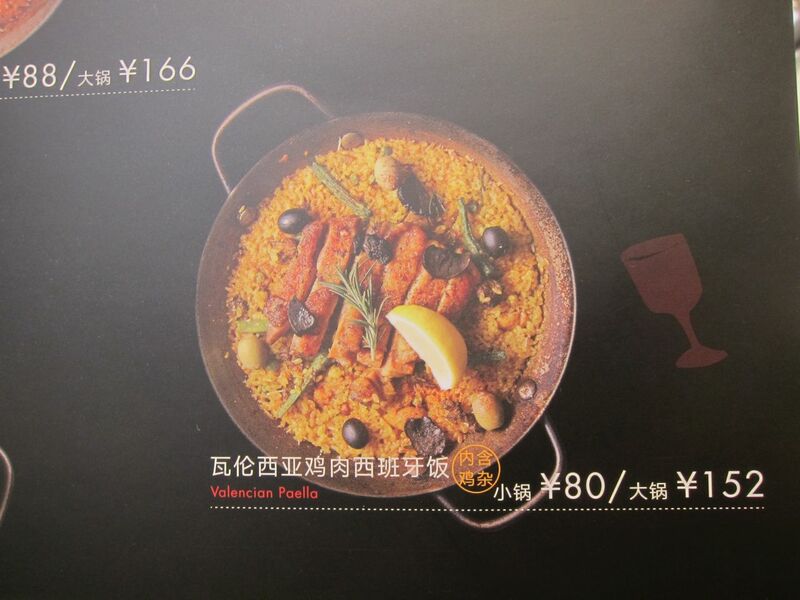 Or maybe I should say “Spanish” restaurant, as check the picture they had in the menu for Valencian paella! If someone from Valencia saw it, they would probably have a heart attack right away as they are very picky as to what constitutes a real Valencian paella. And a fried chicken steak with olives on top of some rice is definitely NOT a Valencian paella, hahaha. The fact that the name of the restaurant is Crazyones also gives some hints as to the authenticity of the place. It’s definitely not a name that immediately brings Spain to mind, I think. Fortunately, I’m not a picky person, and I expected that the taste would definitely not be the same as back home, so I enjoyed the food anyway, and my friends did too. 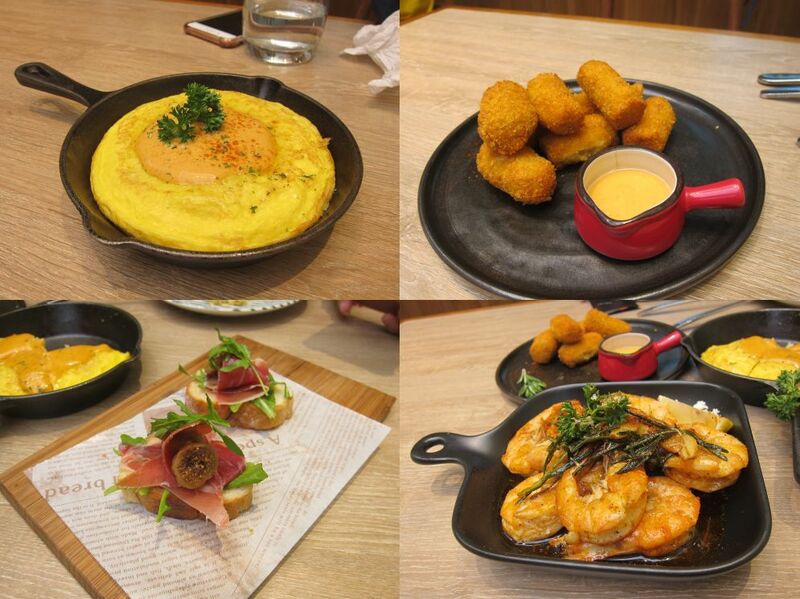 We ordered potato omelette, croquettes, ham pinchos and fried shrimps as starters. Chinese people are used to strong flavours and many find Spanish food too bland, so the potato omelette had a dollop of spicy sauce on top. The croquettes had truffle and were quite fluffy. The ham pincho came with figs, that was interesting. The shrimp were a bit oily but the taste was good. 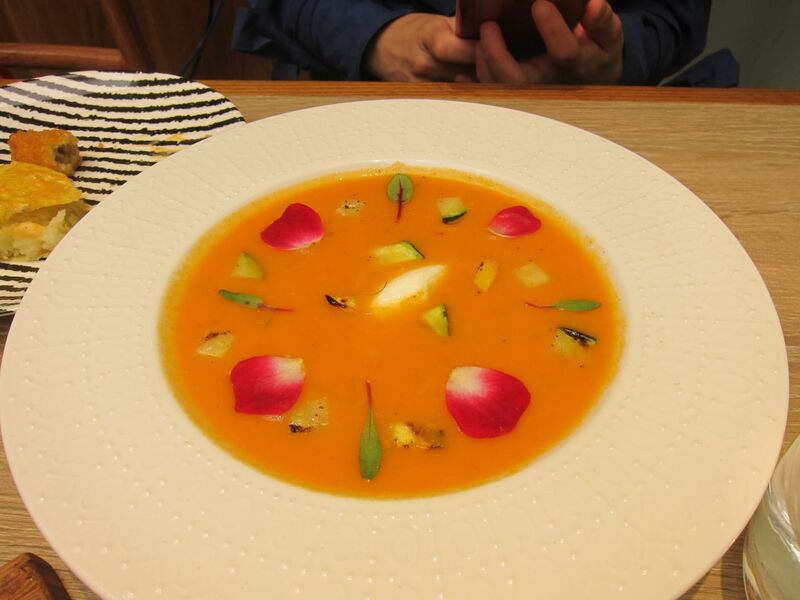 My friends ordered gazpacho (cold tomato soup) but I passed because I’m not a big fan of it. I tried theirs and the flavour was quite soft (my mum puts way too much cucumber when she makes it). The dish was decorated in a very colourful way that I have never seen back home. Veredict: the food is not really authentic, but it’s not bad at all. 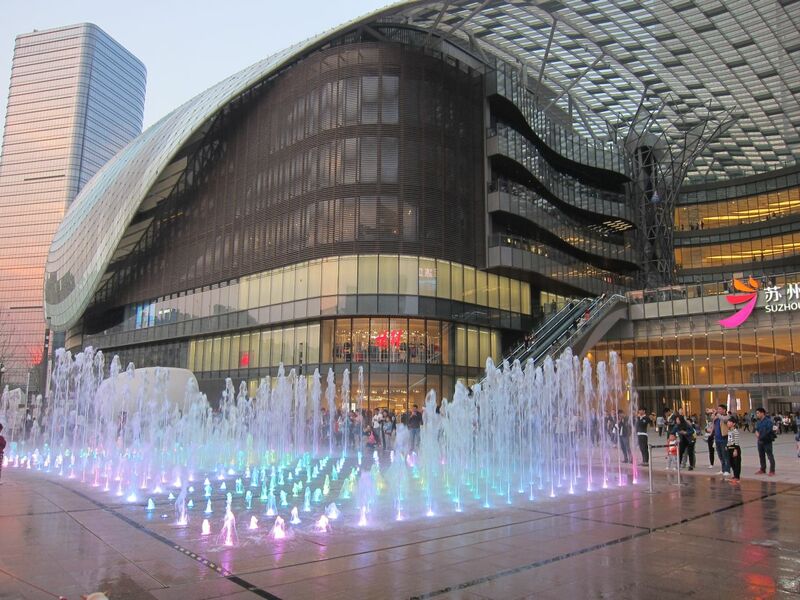 The prices were quite decent, considering it’s in the fanciest mall in Suzhou. Business seemed good and the restaurant was packed for lunch since 11.30 am (all the patrons except me were Chinese). I’ll probably be back with C. and I will try a different “paella”. 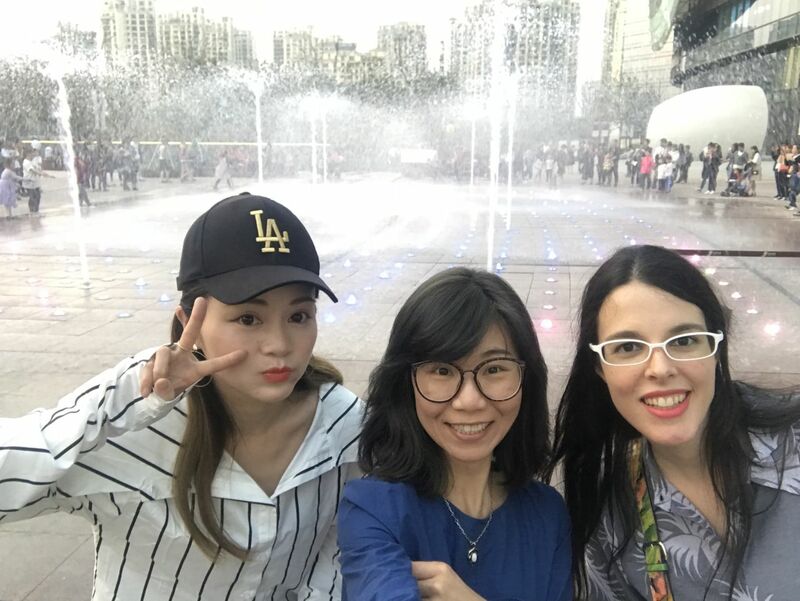 Our girl’s Sunday continued with a stroll along the Jinji lake (it was sunny and there were many families and people with dogs in the grass), some drinks in a terrace and then back to the mall for a movie: Ready Player One. After the movie, we also caught the musical fountain show! I’m often the only non Asian person in the restaurant unless we go to a western restaurant frequented by expats hehe. It’s normal, non Asians are a veeeeeeeeeery small minority here. Yes, that’s the key, cater to local tastes. After all, what’s the point of being super authentic if the locals don’t like it? Your business would fail miserably, haha. And the Chinese food in Canada and the UK and Europe is very different from American Chinese food. As you say, local tastes have to be taken into account to make a profit. Definitely, in Spain Chinese restaurants serve very different food than what you can actually find here. In smaller towns with very few expats, “western” restaurants tend to be quite bad. Even here in Suzhou there are a few restaurants claiming to serve western food that are pretty bad (especially the steak is always horrible and very fake, like pieced together from different parts of the animal). I love potato croquettes and these do look good. Same situation here in Australia with Chinese food – catered for the Aussies and food genuine Chinese have never heard of – ha ha. Oh, right, I forgot to specify that: Spanish croquettes are not made with potato, but white sauce (the one made with milk and flour). So they are softer than potato croquettes. I’ve tried the potato ones in Japanese restaurants here and in northern Europe. Chinese people usually think real paella is very weird because the rice has to be a bit hard, not completely cooked in the middle. The ones in this restaurant had the rice fully cooked, haha. Did you like Ready Player One? I’ve seen the previews and thought it looked good. I like your attitude of not turning up your nose at the good but inauthentic Spanish food. Good food is good food. I used to enjoy the Spanish food in the Philippines. I don’t know how authentic it was, but I think some of the more traditional Spanish restaurants were started by Spanish expats. I liked Ready Player One! I read the book a few years ago and I was looking forward to the movie. I read complaints that it is just an empty collection of references from the 80s, but I thought the story was entertaining enough (it’s over 2 hours long and it passed very fast, hehe). 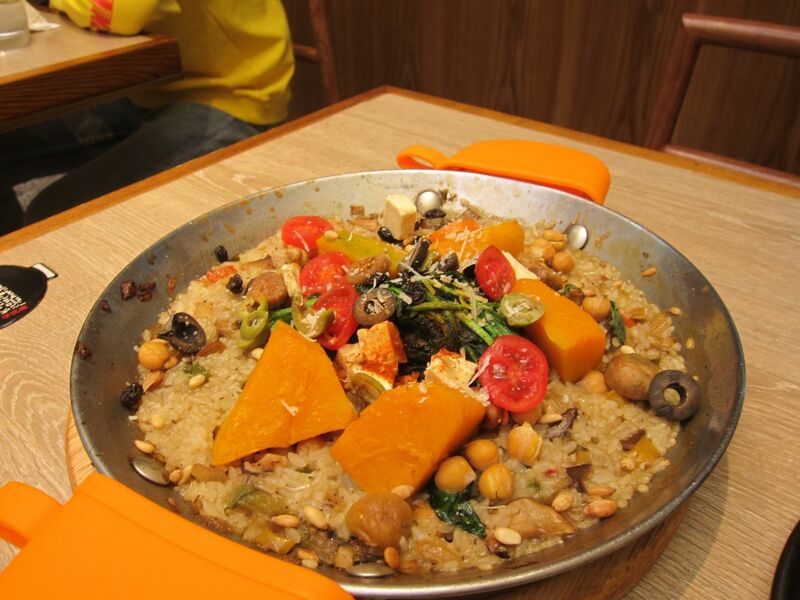 That piece of pumpkin in paella looks totally strange. Not even cubed smaller. While in Barcelona, I had paella twice. First time, at the Boqueria, it was too salty. 2nd time at a restaurant by 1 of the numerous plazas downtown, was lovely. Of course, each time with..Spanish red wine. Always enjoy seeing how one culture interprets another’s food…though of course all Spanish restaurants in the UK are totally authentic! Sounds nice though – I like pumpkin! There’s a lot of Spanish people in the UK so I would expect the restaurants to be authentic, yes :D Here it’s a bit more difficult, haha.